Does the thought of cheating on your diet get you excited? It does me. I eat clean Monday through Friday and once the weekend rolls around, visions of hamburgers and chocolate bars start swirling my mind. And because I believe in balance I don’t consider indulging ‘cheating,’ but rather allowing myself an occasional treat as a ‘reward’ in a sense. In fact, I eat ice cream and pizza just about every Sunday and I don’t feel bad about it since it’s a rare occurrence. Apparently, having a ‘cheat day’ is quite a popular topic as Dr. Oz is dedicating an entire show to the idea. He’s calling it ‘Fat-urday,’ saying we should eat whatever we want one day of the week because it will lead to more weight loss. This means if you eat healthy the six days of the week, Dr. Oz is giving you a license to eat whatever you want on Saturday be it donuts, milkshakes or an entire plate of french fries. Or all three! To demonstrate how this can be beneficial, Dr. Oz selected three women to participate in a Fat-urday by giving them $100 to spend on whatever food they wanted, and then filmed their day of indulgence. But is having a cheat day really healthy? DietsInReview.com’s Registered Dietitian Mary Hartley, RD, weighs in on the topic. Instead of cheating, Mary recommends forgoing both under-eating and over-eating from day-to-day by keeping a steady balance in our diet. And her reasoning? “The thyroid does not have to be ‘tricked’ by us mere mortals,” she says. ‘Fat-urday’ will air today. 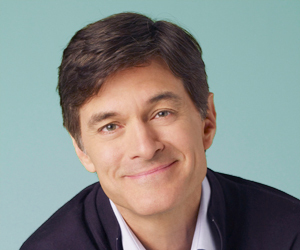 On the show, Dr. Oz will discuss why we desire to cheat on our diets, how to cheat properly, and how this practice can actually benefit a weight loss plan. Check your local listings for official show times.